This morning as I baked bread again without even having to wash my hands afterwards. Am so glad I came upon this recipe. No washing up, ok 2 things to wash up afterwards. 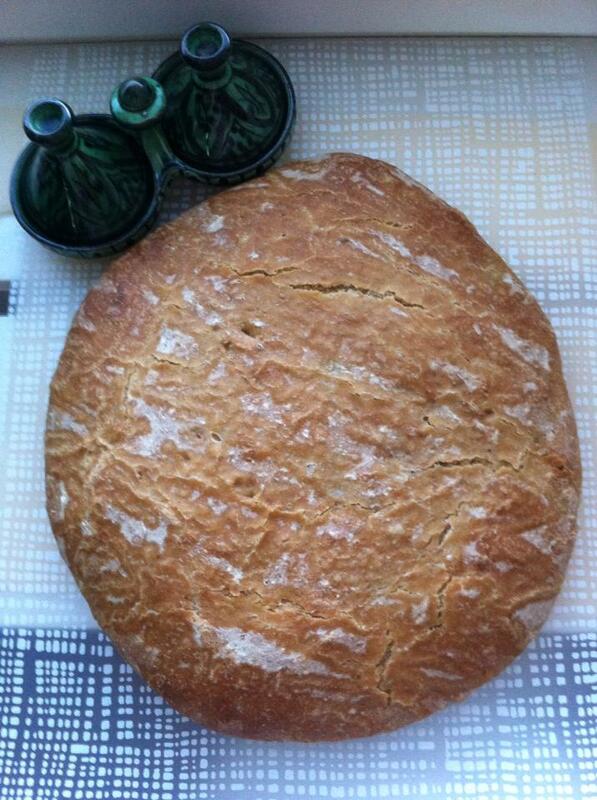 And every breakfast you get fresh baked home made ​​bread as I prepare everything the night before. Fermentation takes care of it in the fridge while I’m sleeping in a damp towel. You must try this one. So much juicier and tastier than the one you buy at the store. Mix all ingredients into a smooth dough and knead the dough for about 20 minutes . Let it rise for about 40 minutes. Here I use my old breadmaker to work and ferment the dough. Then I take the dough and turn it back on a bakplåtsklädd plate. Covering over with a damp towel . And putting it in the refrigerator overnight . In the morning I start the oven to 200 c Does a bowl of water at the bottom of the oven and put it in the oven. So the bread is baked with ltie steam. Removing the plate with the dough and remove the towel. When the oven is hot, so I set it for about 20 minutes or until it got nice even color . Remove and let cool for a dry towel . How easy! And it looks great!